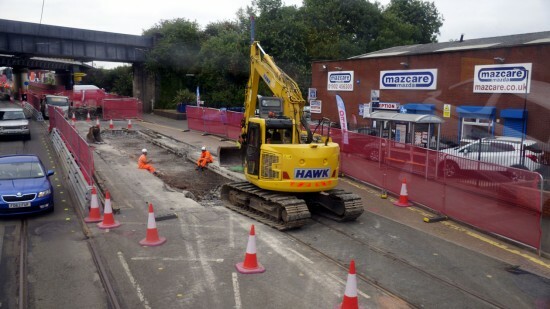 We are now a month into the planned six month closure of Midland Metro between Priestfield and Wolverhampton St George’s to allow for track relaying along Bilston Road. 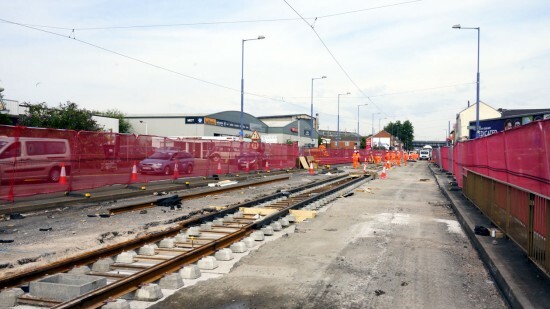 In this latest pictorial update Andy Walters brings us the latest images of the work with some of the new track now fully concreted down whilst other sections are at various different stages of construction. 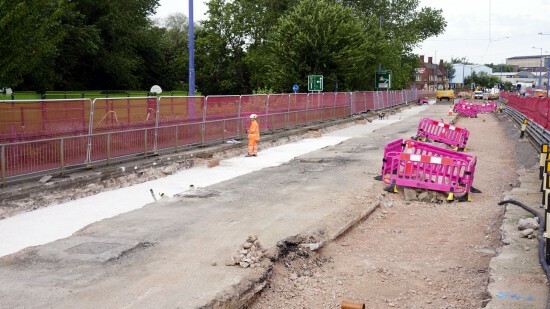 The scale of work being undertaken is seen here with the road surface and track removed. New track in place but yet to be concreted in. 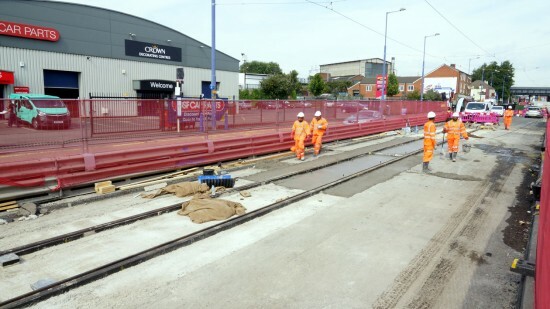 Track in situ with the first concrete surface having been laid around it. 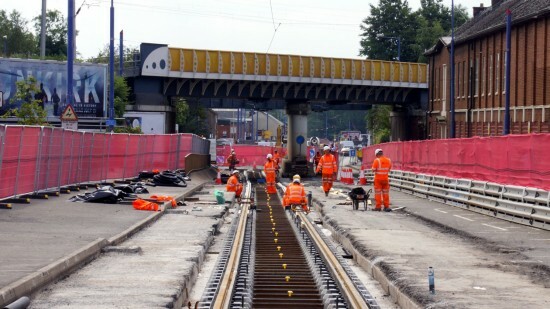 Looking directly along the line as it is put in place ready to be aligned. 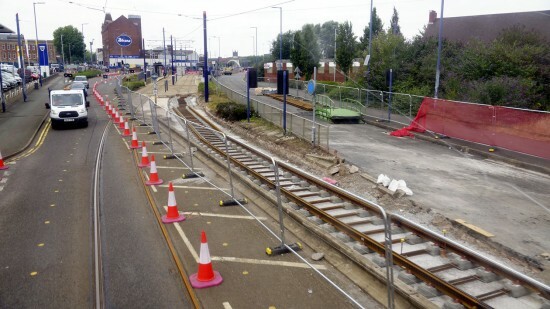 Just to the south of The Royal and track is being laid on the southbound line.